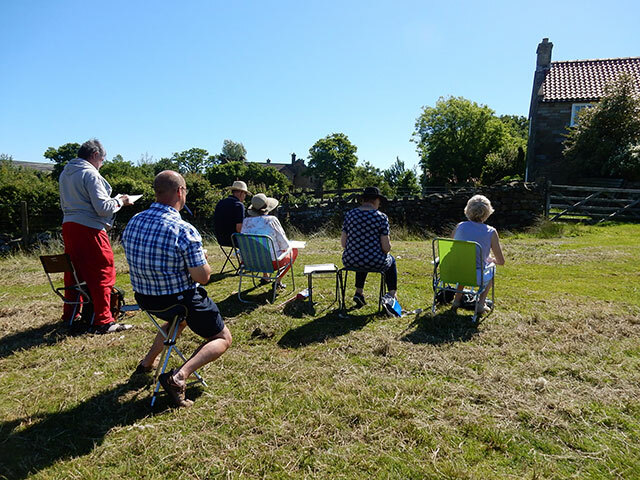 Come sketching and painting with Peter Woolley in the beautiful and inspiring North Yorkshire location of Goathland (near Whitby). 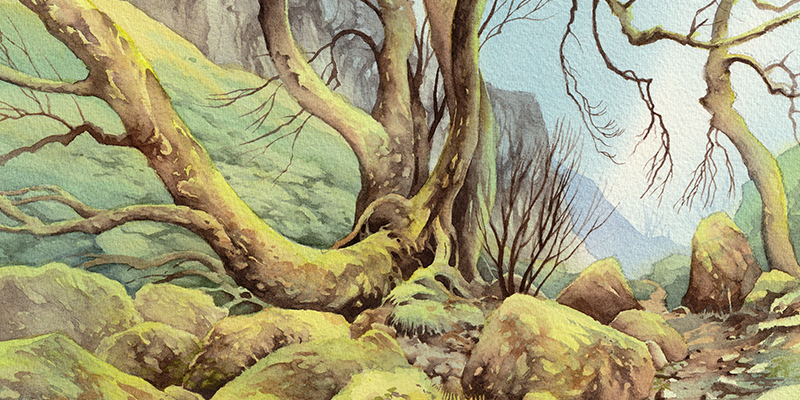 The workshop will explore the process of painting watercolour landscapes in some depth. 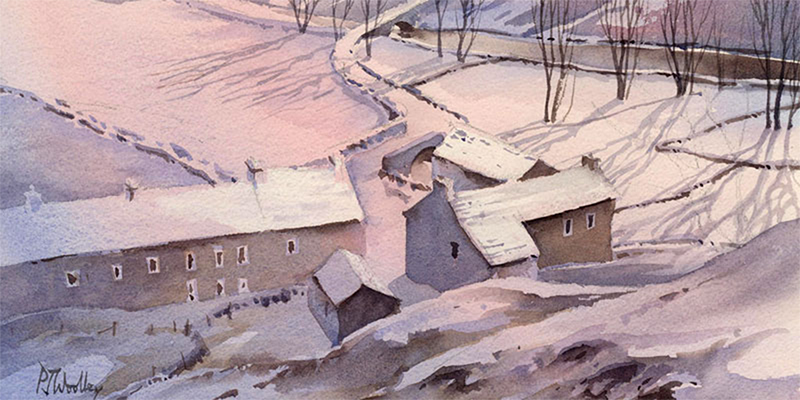 From preliminary drawing techniques to good composition and general working practice, the aim is to select techniques appropriate to the location and work on improving awareness and application of those techniques in a friendly and informal setting. All abilities, from total beginner upwards, are welcome. For further information, and secure online booking Click Here. 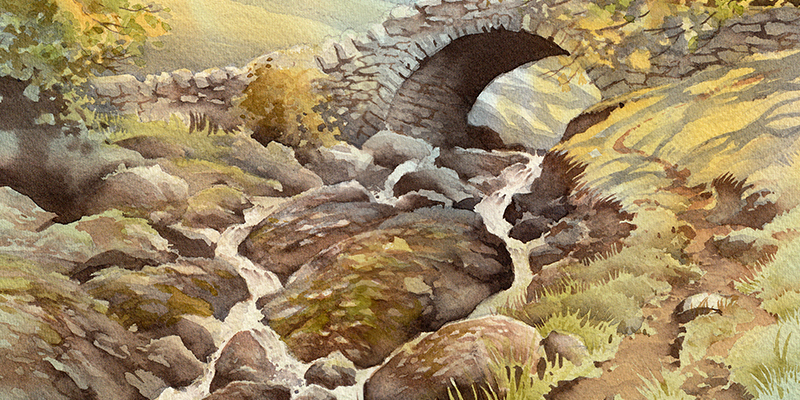 Peter will be exhibiting and demonstrating at this year's Summer Art & Design Fair in Buxton, Derbyshire on the 8th and 9th of June. 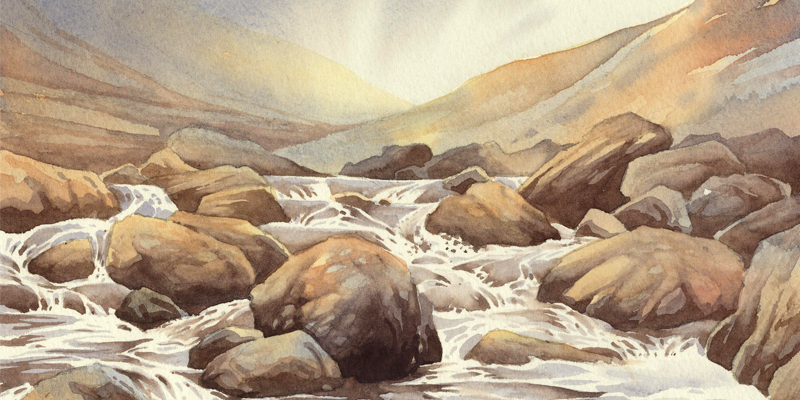 Alongside artists and designers from right across the region, Peter will be sat at the easel painting and flogging his wares; Paintings, Prints, Art Cards and the full collection of DVDs. For full details of the venue and opening times, check out the Pavilion Gardens website here. 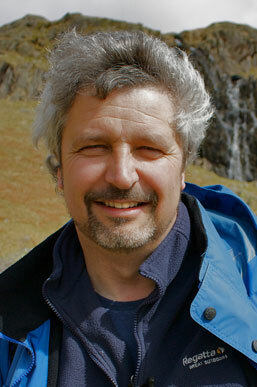 Peter will once again be exhibiting/demonstrating at one of the biggest and friendliest art festivals in the UK. Each year the festival goes from strength to strength, and guarantees arty-action to suit all persuasions, featuring artists and suppliers from all corners of the country. 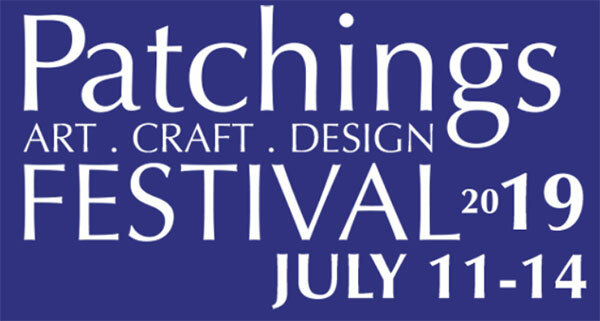 For full details of the show and opening times, check out the festival website here. 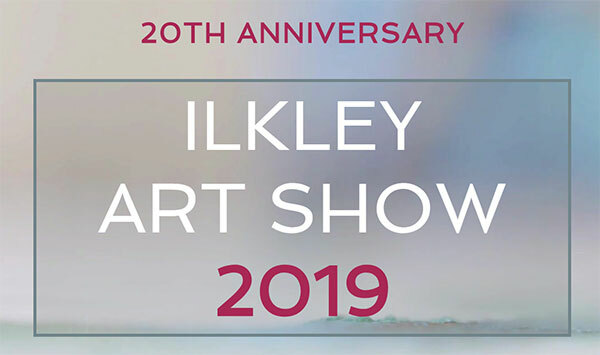 Set in The Winter Gardens, the show remains one of the keystones of the North Yorkshire exhibiting calendar, featuring trade stands from leading art materials suppliers, artists and galleries. For full details of the show and opening times, check out its website here. 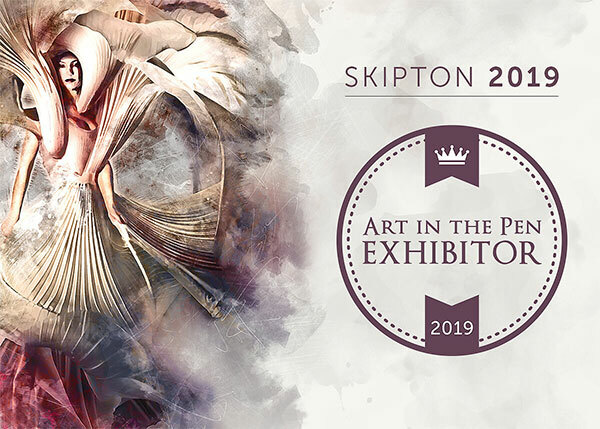 For the first time, Peter will be exhibiting/demonstrating at Art in the Pen, a well established and highly regarded art fair that runs each year in Skipton Auction Mart. The show started out in 2005 as a relatively small number of artists transforming cattle pens into galleries to sell their original work. Today, Art in the Pen has flourished into a sprawling event, with an abundance of creativity and craftsmanship at every turn. 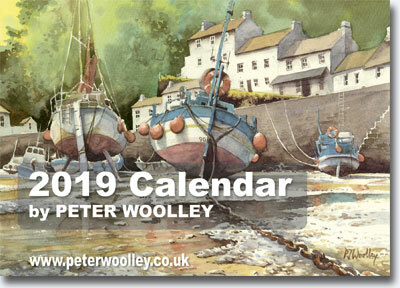 The 2019 Calendar, featuring a collection of work painted by Peter Woolley during the last 12 months is now available to order. 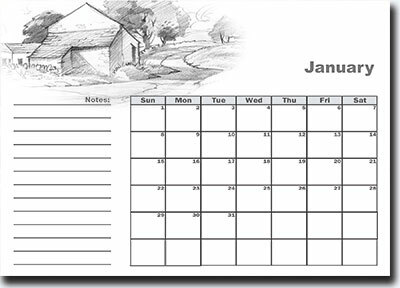 This high-quality, ring-bound, A4-sized calendar (opens out to A3), features wild edges of the Northern Peak District, alongside winding Yorkshire Dales farm tracks and quiet coastal harbours. There are waterfalls too; the life-blood of the landscape and always an inspiration, are celebrated here from a trip to Seydisfjordur in Iceland. 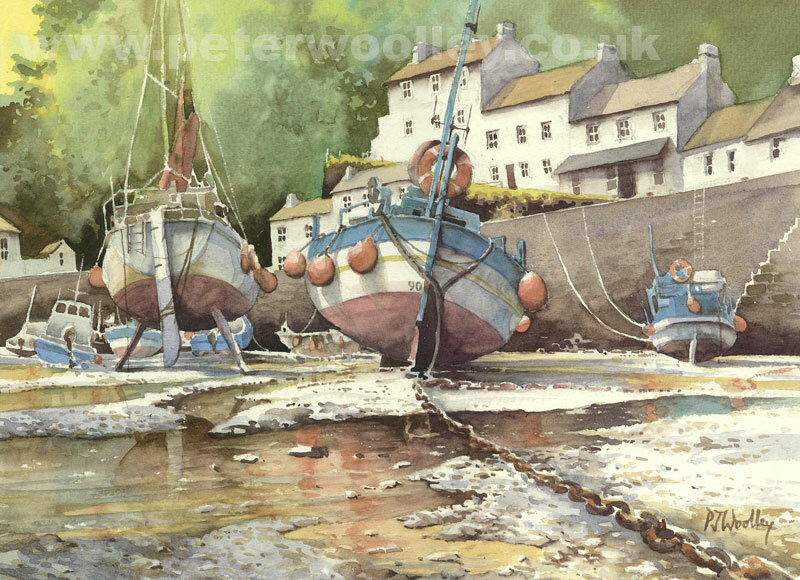 This scene of Lynmouth harbour is the latest painting to be published as a Signed Limited Edition Print. With a print run limited to only 300 copies, each one is individually signed by Peter, and comes with a Certificate of Authenticity. As with all Limited Edition Prints published by Peter Woolley, it is a giclee reproduction, using only inks of the highest quality, and printed on 310gsm Museum-Classic Acid Free paper. 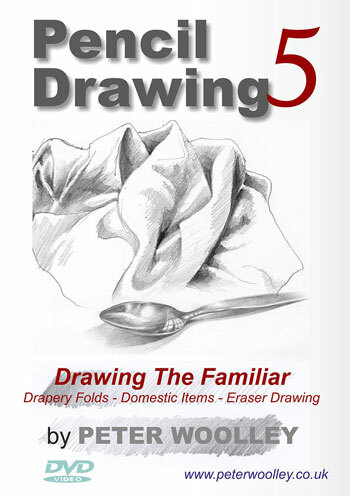 In Part 5, Drawing The Familiar, Peter Woolley explores how to draw clothes and other soft materials (there are 7 Drapery Folds), before turning his attention to a couple of everyday familiar objects (Spoon and Coffee Grinder). He concludes by introducing the concept of Drawing with the Eraser, using a simple landscape and a portrait as working examples. 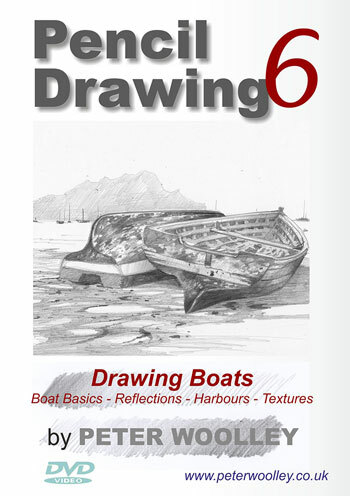 In Part 6, Drawing Boats, Peter turns his attention to the tricky subject of boats. After an introduction to Boat Basics, he demonstrates how to produce a boat from a figure-eight. This is followed by a demonstration of boat reflections and a group of vessels in Lynmouth Harbour. Finally he tackles two old fishing boats with interesting textures. 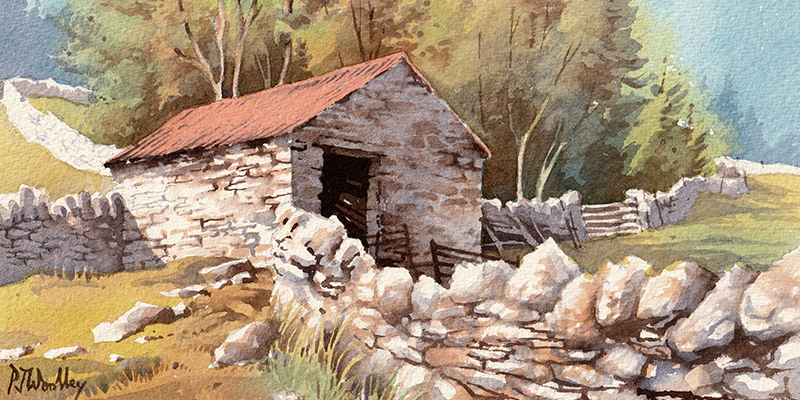 Pyjama Video is proud to present The third title in The Projects Collection video series, the natural progression from Peter's Watercolour for Beginners series, aimed at intermediate painters and improvers. 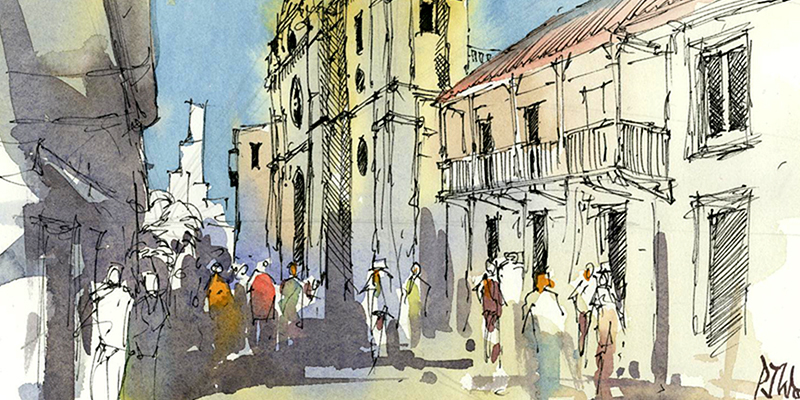 Projects feature Location Information to help you get to really know the subject and two full working demonstrations; the first one, a Preliminary Pencil Sketch, is followed by a demonstration of the subject, painted up in watercolour. Bonus material will include a brief study of a specific technique associated with the subject. 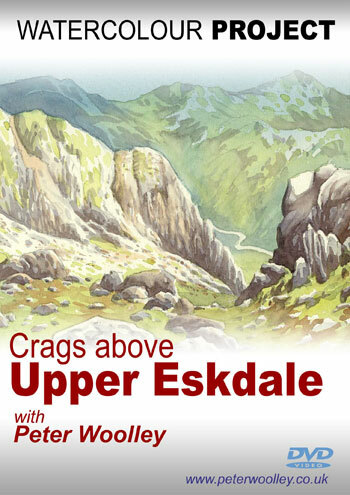 Join Peter as he paints wild and exposed crags above the Upper Eskdale Valley in the Cumbrian Lake District. 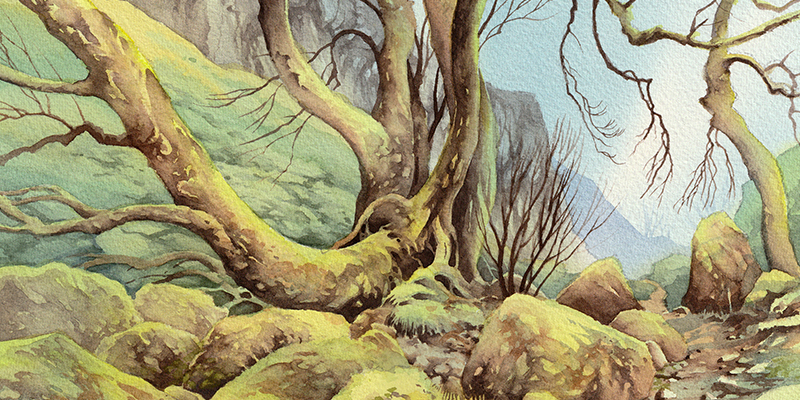 Featuring tips on how to create the illusion of space and depth on a two-dimensional surface, and advice on how to make your rocks look convincing. 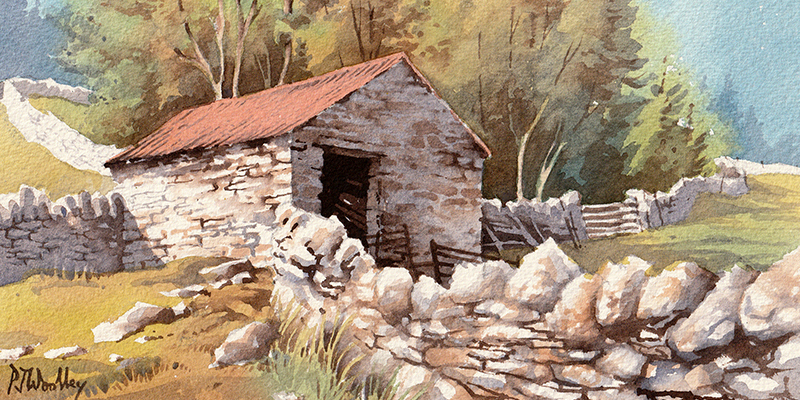 Bonus Demonstration: Scafell Summit (Line and Wash).